One of the largest master-planned communities in the affluent suburb of Mount Pleasant, the 1,700-acre community of Carolina Park lies just outside Charleston, South Carolina. Initially approved for nearly 2,000 homes and millions of square feet of commercial space, Carolina Park encompasses the neo-traditional community of Riverside. 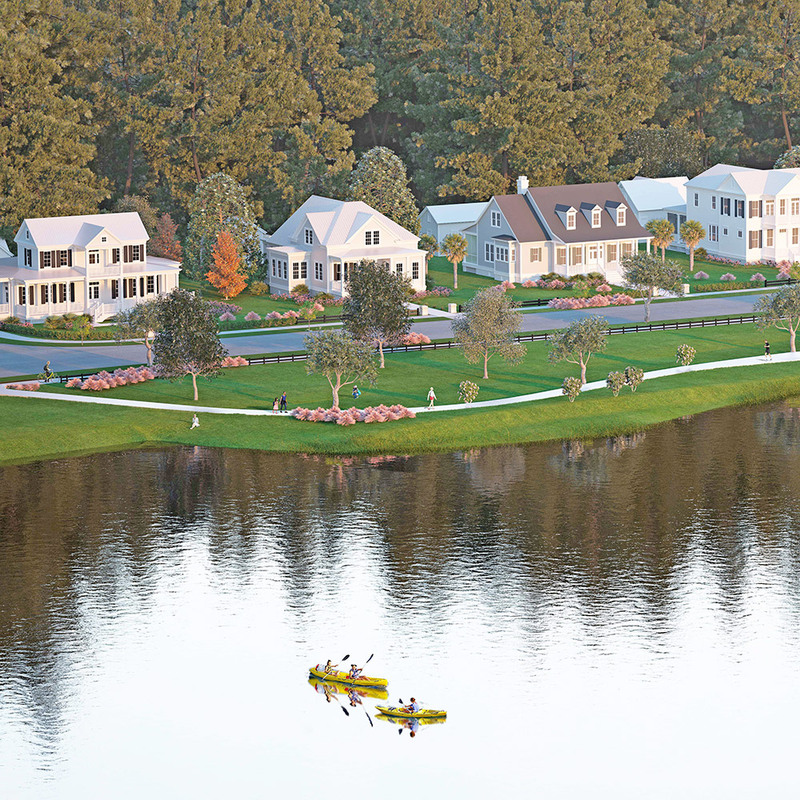 This upscale neighborhood on the Wando River, with custom homes priced from $600,000 to above $1 million, was designed to surround a centerpiece park and its 20-acre lake. We were engaged to create virtual renderings that would enable potential homebuyers to visualize the beautiful setting. Appearing in ads, billboards, and a company video, our virtual renderings have proven effective at displaying the vision of the community's designers. The community has notched high-profile successes. By the spring of 2018, four major new commercial construction projects were underway, including a new Costco member warehouse—long awaited by Mount Pleasant and Daniel Island residents—which opened in August 2018. Other high-profile wins included the town's newest branch of the Mount Pleasant Public Library, the new Carolina Park Elementary School, and a high-end senior living community. The community has also enjoyed positive media coverage. "Yesteryear's small towns evoke glowing memories of quaint center squares, well-kept homes behind picket fences, busy stores with friendly shopkeepers and tasty eateries down the street or a short drive," wrote Charleston's daily newspaper, The Post and Courier. "Developers permanently preserved half of [Riverside's] the neighborhood's 545 acres."